So I’m working on a rather largish project at the moment, but I thought I’d give you a sneak peek by way of a tutorial. One component of this project is a “wicker basket” made out of paper strips. I got my inspiration from a quilling book, but decided to take it a step further to see if I could really make it look like wicker. You might notice that the original number of vertical strips was reduced at the end, but that’s not that important—I think you’ll get the idea. I started by cutting 6 5mm wide by 11.5cm long strips (vertical strips) out of white copy paper. Use a paper cutter. Then, using a hand shredder (or you can buy white quilling strips), I made 25 3 mm wide by 7.2 cm long strips (these will be the horizontal “weaving” strips). 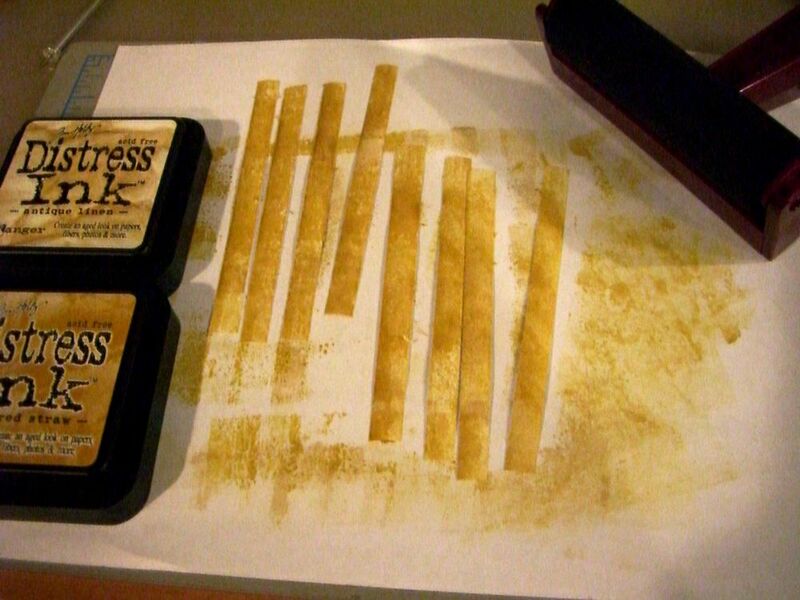 I placed all the strips on a piece of paper, and then rolled a brayer over them covered in distress ink–first with Antique Linen, then with Scattered Straw. Allow them to dry. If you use copy paper or some other lightweight paper, the paper will become quite wet, but you get good color saturation. I didn’t want uniform color as I was going for a more “natural” look. I arranged the vertical strips on a piece of paper, leaving no more than 1mm between them. Glue the top edge of the strips down lightly (be prepared to trim this part off later as you’ll probably pull up some paper with the glue). Weave in the horizontal strips, alternatively starting over and under with each row. This will take some patience. 🙂 Don’t be afraid to do a loose weave and then adjust all the strips at the end. Once you have all the strips where you want them, strategically glue the strips on the perimeter so it will keep the weave in place. Reserve one or two of the horizontal strips. 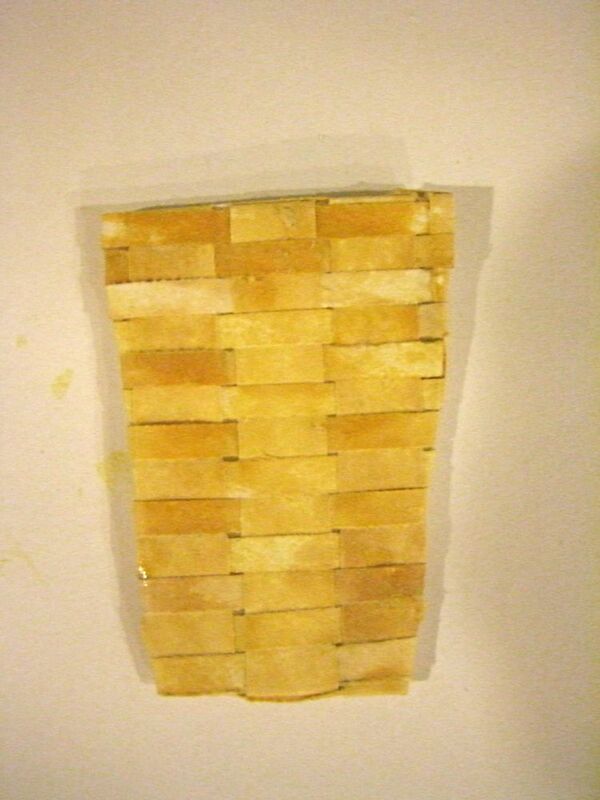 Flip the weave over (inked side down) and glue down the chipboard in the center, making sure you have enough weave on all sides to fold over. I recommend using a smooth glue so that you can cover the entire surface of the chipboard . Fold the strips up over the chipboard, trimming as necessary. 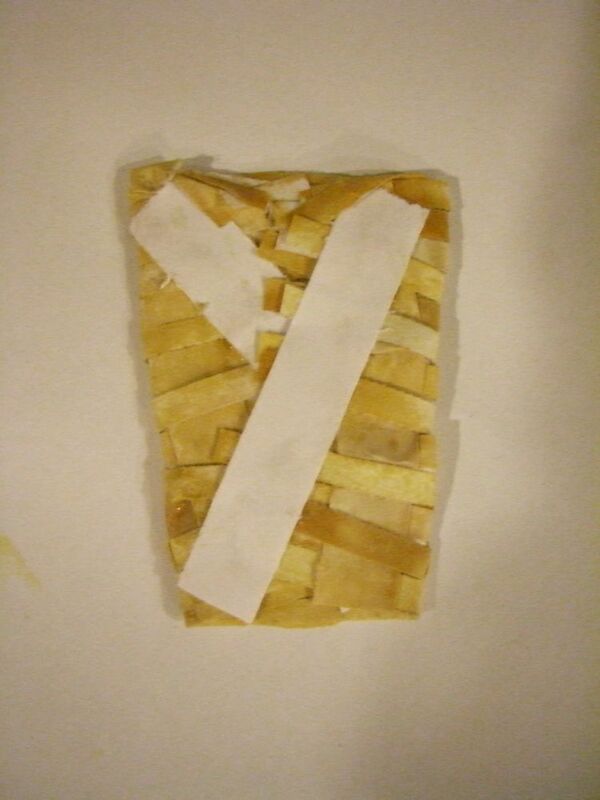 Glue and secure with paper strips. Allow to dry. 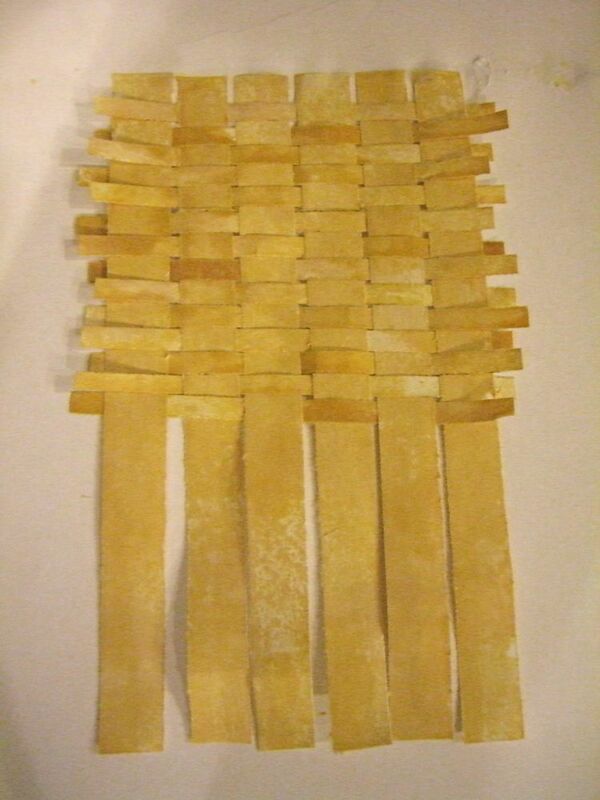 When dry, flip the basket face up and make a spiral quilled strip with one of the reserve horizontal strips. Glue this to the top edge of the basket (not pictured–yet). Sounds like a fun project Lyra, the stripes are looking wonderful. Will you share the finished project here?